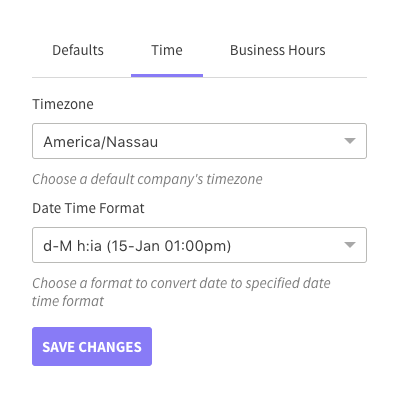 Edit important information like Time format, Timezone, Default Priorities, Default Status, Default Mailbox of the tickets for the better management of the incoming tickets from all channels. In accordance with the country, the agents and the owner can set the timezone.By this, it becomes very easy for the customers to know about the working hours of the helpdesk and when to expect the reply from the support staff. Even the support agent and the owner can see the date and time for each ticket thread which will be as per their time zone. The owner can set the work timings of the helpdesk.The owner can also edit the opening and closing time of the helpdesk as per the requirement. 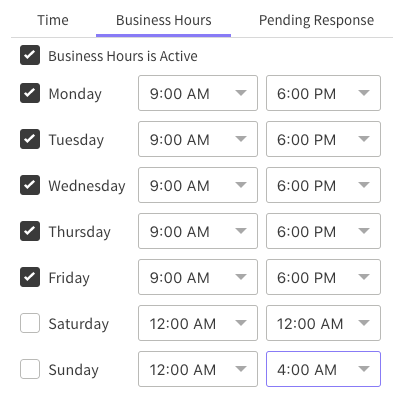 Business Hours will give an idea to the customers about the working hours of the helpdesk and when to expect the revert for their query. 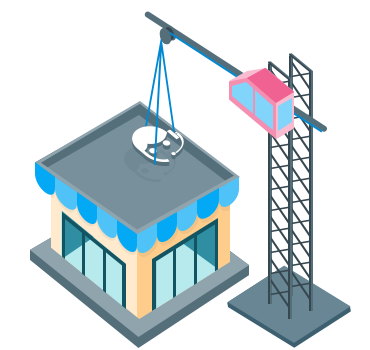 Record Activities of your Support Portal by selecting the set of activities which you want to see on your portal. 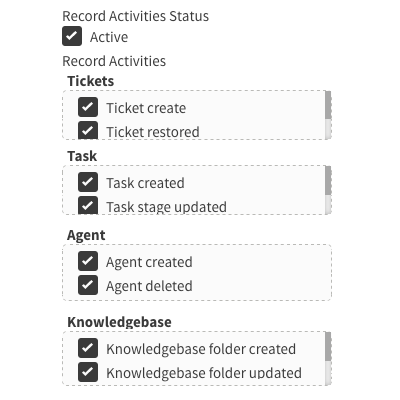 You can select various activities from the Tickets section, Task Section, Agent’s Activities & Knowledgebase related activities. By tracking the activities, you can know the precise status and no important part will be ever missed from your sight. 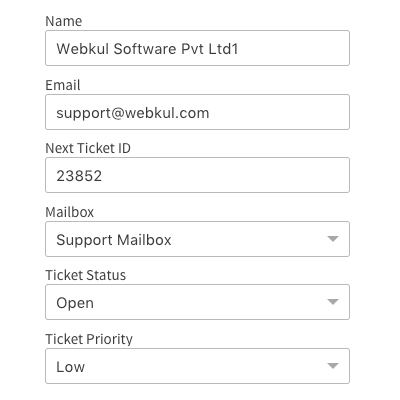 Insert details like Name, default Email Address, Next Ticket ID, Default Mailbox, Ticket Status & Ticket Priority for the new ticket which will be created in your portal. In the default settings, you can set up your organizations by entering the basic details of the organization as that would be followed on helpdesk system. 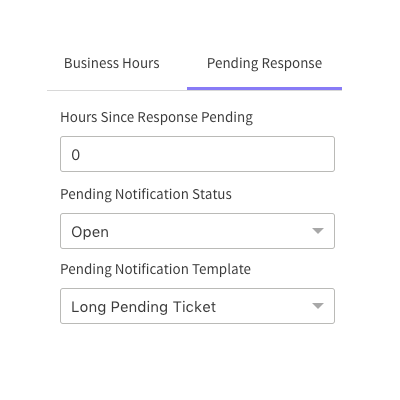 Set Hours Since Response Pending, Pending Notification Status & Pending Notification Template to automate the customer follow up and never miss any customer. Pending Response is a useful section in case of customer follow up. When the reply has been made by the agent and user can not respond for a given period of time, he will get the pending notification to make him aware of the revert he has to make.